Posted bycyclingpassion	 September 12, 2014 April 20, 2017 Leave a comment on Shut up Hour! 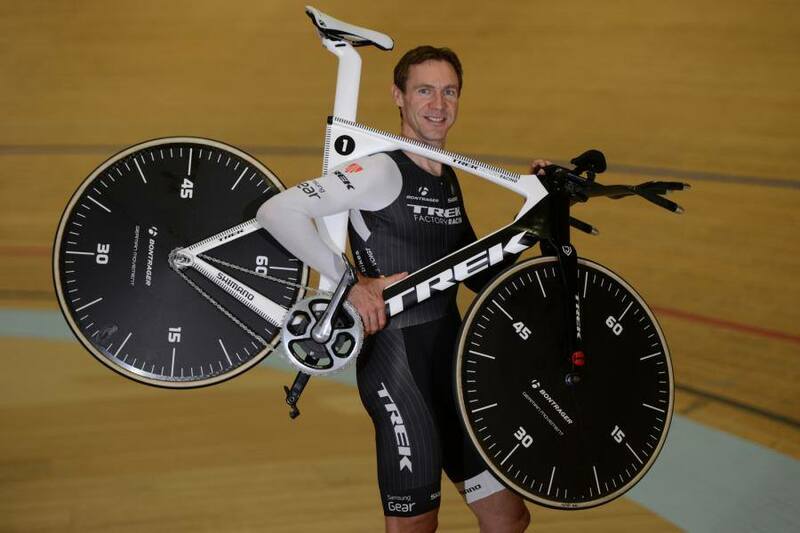 It is a modified version of Trek’s standard time trial machine, which Trek Factory Racing team using in the road races. 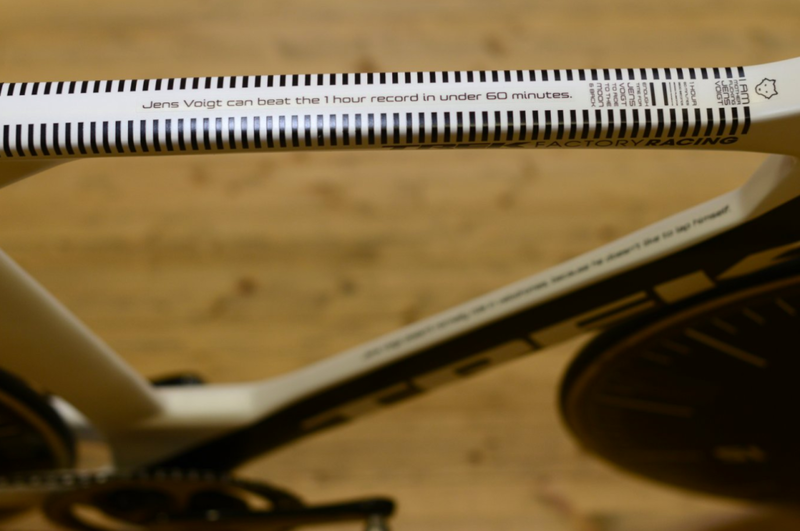 The biggest modifications are – changes in the rear dropouts to accommodate track hub spacing of 120mm, and removal of the front and rear integrated brakes (they replaced with carbon filler to maintain the same surface geometry as the standard Speed Concept). The standard SRM/Shimano Dura-Ace 9000 crankset will be 54T, with no inner ring. The rear cassette probably will have 14 teeth. Trek’s wheel supplier Bontrager don’t make disc wheels, that’s why there are Shimano full disc wheels labeled as Bontrager are on the bike. Each wheel is painted as they were a clock.